Mayor Bill Peduto criticized Pres. Trump after saying he was, "elected to represent the citizens of Pittsburgh, not Paris," when announcing the US would leave the Paris Climate Accord, Thursday. 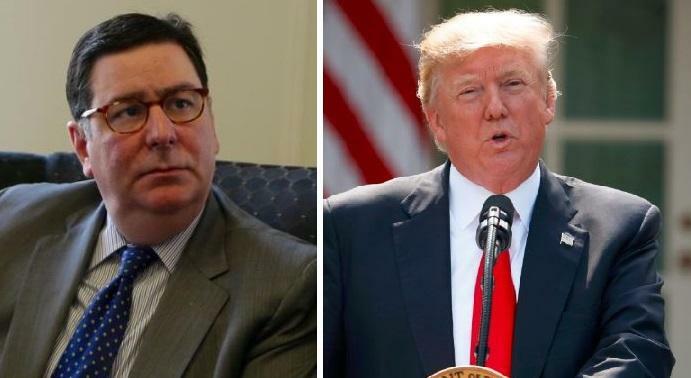 In a strongly worded statement, Pittsburgh Mayor Bill Peduto rejected President Donald Trump’s use of Pittsburgh in his announcement of the withdrawal of the U.S. from the Paris Climate Accord. In his statement, Peduto also called Pittsburgh an example of why the Paris agreement is good for the economy. The President's announcement also drew a quick rebuttal from Democratic U.S. Senator Bob Casey of Pennsylvania. In his speech, Trump also noted, "I was elected to represent the citizens of Pittsburgh, not Paris." Allegheny County, which includes Pittsburgh, is not Trump country. It voted for Hillary Clinton in November, favoring her by a margin of 56 percent to Trump's 40 percent. After Trump's announcement Peduto tweeted that "as the Mayor of Pittsburgh, I can assure you that we will follow the guidelines of the Paris Agreement for our people, our economy & future." "President Trump's decision is disastrous for our planet, for cities such as Pittsburgh, to the commitments the United States made to the rest of the world, and to our responsibility to save the globe for future generations. The President has made America weaker, and the world less safe. I'm appalled that the President used my city to justify his unacceptable decision, as most other Pittsburghers are. I was one of the nation's mayors who went to Paris to fight for the accords, and my city, which has finally bounced back from decades of industrial carnage, will do all it can to promote its own environmental standards. I know cities around the nation and the world will do the same. This is not over. In Pittsburgh, we've rebuilt our economy on the future and our people, not on the past. We are improving the efficiency of buildings; using smart infrastructure to reduce emissions; supporting new mobility solutions like bike share, bus rapid transit, and shared rides to reduce our reliance on personal automobiles; and has world class innovation happening by the likes of the University of Pittsburgh, Carnegie Mellon University and many industry partners. Pittsburgh is the example of why the Paris agreement is good for economic development: such work is good for business too. Thirteen thousand Pittsburghers are employed in the renewable energy industry, and sixty-six thousand across Pennsylvania, and renewable jobs are the largest employer in the energy industry. Further, Pittsburgh and other cities know that fighting climate change will not only save our planet, but save lives. Pittsburgh has been engaged in resilience planning since 2015 and climate change and extreme weather were identified as the number one shock facing us. Fighting for the Paris accords is my duty, and that of mayors across the United States, who are standing together in defiance of President Trump's reckless decision. If you are a mayor and not addressing shifts in changing weather patterns or preparing for the impacts of climate change you aren't doing your job. What is our job is preparing our cities for the future, and building opportunities and productive and safe lives for those we serve."